Lately, CryoAction’s name has been seen in more local and national newspapers. 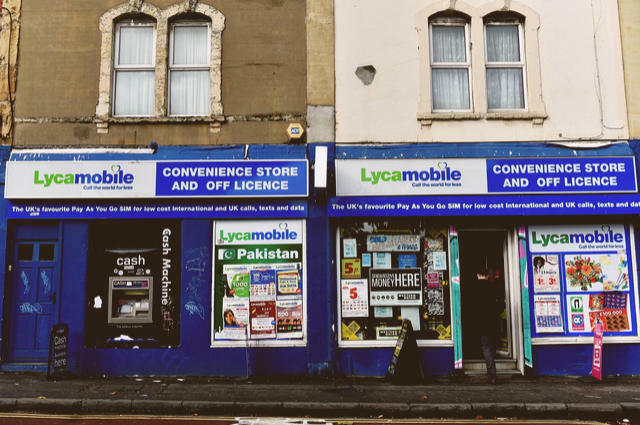 Some of which sold in this newsagents and convenience store in Bristol. Image by 1000 Words (via Shutterstock). Only two years ago, Joe Public found out about the secrets of Leicester City’s Barclays Premier League win. The treatment, which Jamie Vardy said had saved his footballing career, cryotherapy. The company, who played a pivotal role in the Foxes’ and Vardy’s progress? It was us. CryoAction. Over this short space of time, football and rugby sides wanted to order our cryotherapy chambers. The roll call includes Middlesbrough F.C., the Saracens Rugby Union side, and – our most high profile client to date – Arsenal Football Club. In the last two years, there has been more column inches about CryoAction. Here’s a selection of what the ‘papers have said about us. In their first season in the top flight since 1972, Huddersfield Town aim to make a good impression in the Barclays Premier League. Playing a useful bit part in their 2 – 0 over Newcastle United is their most important signing: a CryoAction whole body cryotherapy chamber seating four persons. In an article by Dan Critchlow, the Daily Cannon (an Arsenal fanzine) mentioned our cryotherapy chamber. He said that CryoAction’s chamber at their London Colney training ground would go a long way to solving their injury crisis. Which, if you’re a Gooner, has been an all too familiar aspect of watching Arsene Wenger’s team. Last month, CryoAction was approached by The Guardian over a recent article. The lengthy, yet balanced article on its advantages and disadvantages saw Nic Fleming entering one of our whole body chambers. This was at one of our installations at Saracens’ ground in St. Albans.